As Chris and Scott were walking through village 5 with Jean and Michael, we heard music playing on a radio--the first radio we had heard in the EcoVillages. Electric power is not available and batteries are expensive, so few villagers have radios. This radio was connected to a solar panel for power. On this trip Chris had brought six hybrid radios powered by hand cranks and built-in solar panels to give to MPP, one for each of six the EcoVillages. We followed the music to a house where a mom and dad were sitting on their front porch with a young girl, Tanisha. Tanisha was sitting in an improvised wheel chair constructed using a bicycle handle and pedals. 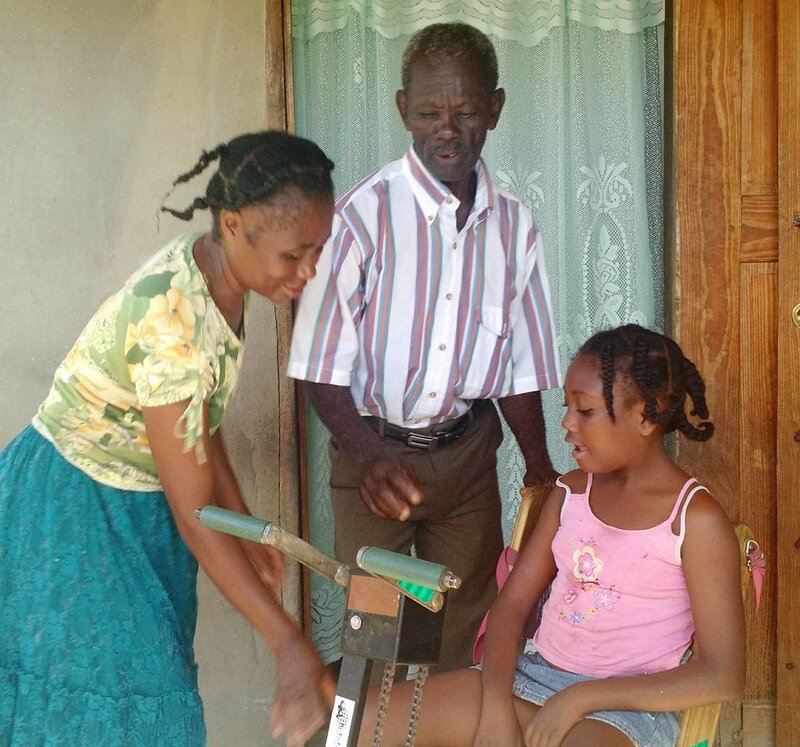 Her mom explained her daughter Tanisha could not walk because she was severely injured in the January 2010 earthquake in Port-au-Prince. She was buried in the rubble for 3 days before being rescued. In addition to not being able to walk, Tanisha also appears to be unable to speak. We believe the music playing on the radio was to entertain Tanisha. Tanisha's presence and courage are a constant reminder that every Villager 7 years old and older survived that terrible earthquake. Each person has scars of the trauma, visible or invisible. Each person lost a family member or loved one on that day. In helping these former city dwellers find ways to recover from the disaster, we are also engaged in humanitarian assistance and in development. With tenacity and courage, we travel together towards hope and brighter futures. Our second full day in the Central Plateau was our opportunity to visit the EcoVillage school and see the progress that has been made. The first thing we noticed was the new gate and fence that surrounds the school. Upon entering the school yard, we see the 2 new classrooms and a storeroom for the kitchen. We hear sounds of students reciting their lessons and so we quietly make our way to the school director's office making an effort not to be a disturbance. The two new classrooms are being used for the 5th and 6th grades. We talked about the new video system being installed. MPP has partnered with an organization which provides instructional video systems to public schools. 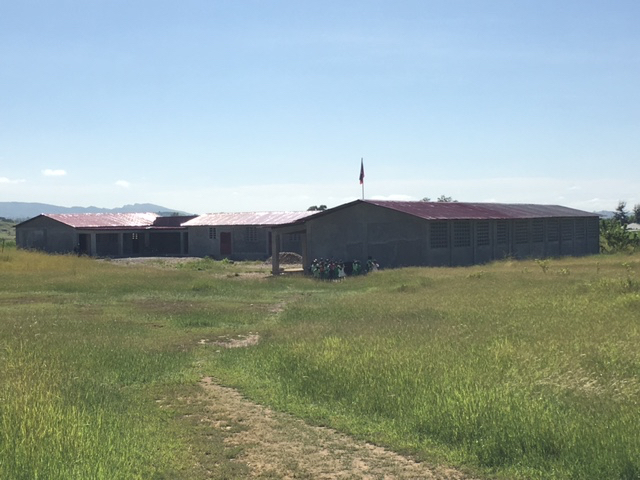 The organization providing the system has certain requirements, including security, which motivated the construction of the fence around the school yard. We saw the beginnings of installation of the system which will be run off solar power. Romain was excited to hear about the book project going on now at our churches in Atlanta. He asked that the books be printed in the US and transported to the school if there is a way to do that without high shipping costs. He would like books in both Kreyol and French side-by-side, primarily for beginning readers. We discussed the likelihood of 'nationalizing' the school, which means the government will pay the teachers' salaries and possibly other costs. The director told us that the government has provided some furniture to the school and has conducted on-site inspections. The director has worked with MPP to create a dossier for the staff and school which will be submitted to the government. He admits that nationalization is a political process but is hopeful that they can make it happen. We presented Romain with a framed photo of the students in front of the school taken by David Diener during our April 2017 trip. He immediately sought out a spot on his office wall to proudly display the photo. We also delivered colored paper donated by Good Shepherd which was greatly appreciated. The students break for lunch from 10am - 10:30am eating in shifts in the cafeteria. This day the kitchen staff has prepared a hot meal of beans. The lunch break was the perfect time to get an updated photo of the student body standing in front of the school. While Chris setup for the photo, Scott interviewed students asking about the hopes and dreams for the future. It was satisfying to be able to spend a little time interacting with the children. After the children returned to class, we decided to tour the large garden beyond the school. We learned that the vegetable garden adjacent to the school is fallow because the ground was too wet to cultivate. We walked through the gap in the fence through which the path to the outhouse goes, then down the hill and up the next hillside to where the fields start. We walked through a field planted with sweet potato vines, then a field newly planted with moringa. We kept walking and came to a field where two men were cultivating. We were told that that land was cultivated by people in village 1. We then walked back toward the school and saw an ox, which we learned belongs to the school. We also walked through fields planted with peas. It is wonderful to report that everything is noticeably greener and lusher that we observed on previous trips. More of the land is being cultivated, and there is no evidence that recent hurricanes provided anything other than needed rainfall. Scott Grosse and Jean Lindor interviewed some of the children at the school during the lunch break Wednesday. They asked the students to tell them what their favorite school subject is and what they want to be when they grow up. Dorcelis Chalinda especially likes math. She wants to study to be a medical doctor and take care of children. Bienaime Louisky also likes math best. He wants to become a civil engineer and build roads throughout Haiti. Other children agreed that their favorite subject is math. Desired occupations listed include nurse, accountant, pilot, and plumber. Carel Sinfinice lives in village 4. At the end of our visit to the school gardens on day 2 (Wednesday), Carel chased us down to invite us to come see his farm. 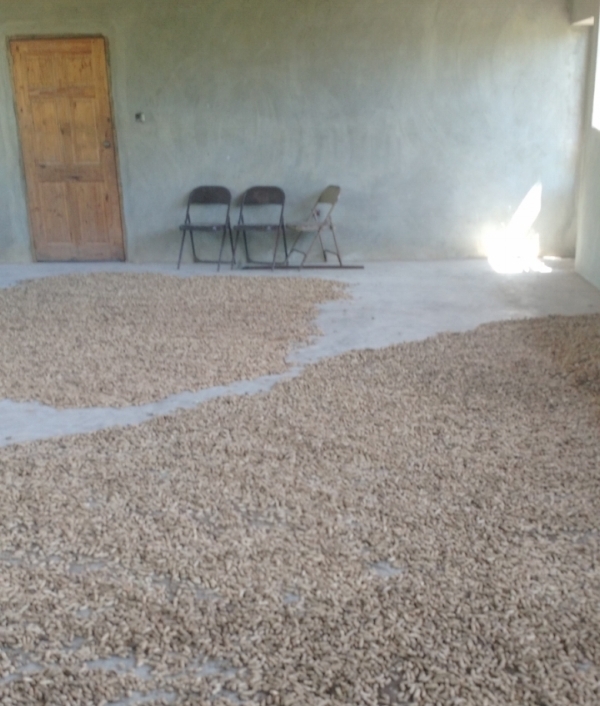 He took us to the Community Center where the floor was covered with recently harvested peanuts. We also saw wooden beehive boxes presumably used for honey production and pollination of the vegetable garden. 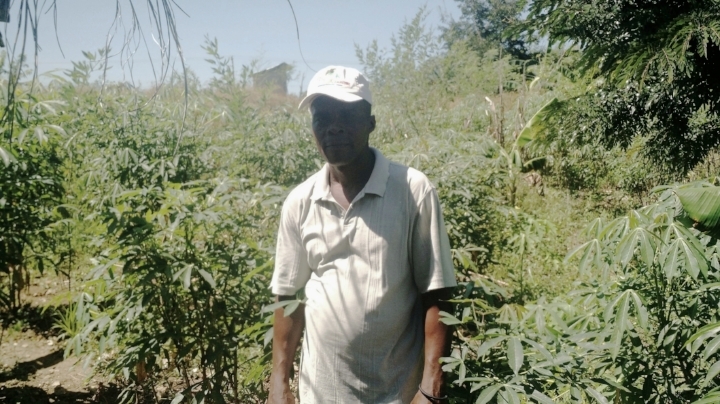 Then Carel proudly showed us a mature cassava field that he cultivates. Next to that was a MPP moringa project nursery protected by a fence and roof. Carel also has built a pig pen where we saw a female and 6 piglets. He said that he recently sold a pig to pay school fees for his three older children who are attending university. Carel is married to Annette who works as the Kitchen manager at the EcoVillage school. They have six children. Their fortitude proves that people in the villages can provide more than a subsistence living for their families. The children greeting their guests from Atlanta and Boston. They are so proud of their school and so eager to share their joy and love. 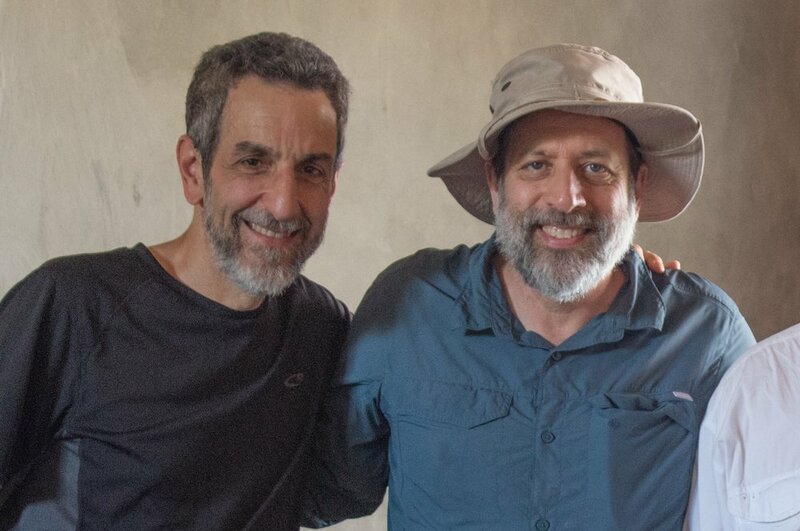 Chris Calia and Scott Grosse are representing Atlanta’s EcoVillage School Partnership during meetings in Haiti with our partners, the Unitarian Universalist Service Committee and the Peasant Movement of Papay (MPP). Here’s a brief report on their first day. They delivered and assembled a sewing machine. This brings the total to 6 machines. Chris made friends with a fellow wood worker during his last visit. He delivered some modern tools as a gift. They watched the children play corn hole using a game donated in 2015. They witnessed early stages of agricultural projects that we have funded. Proceeds from the projects are earmarked for support of the school. 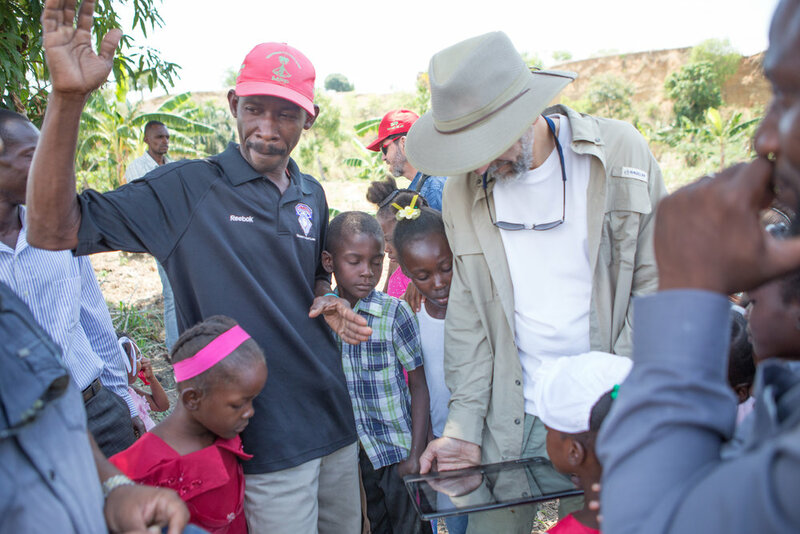 They saw fields of cassava and peanuts as well as goat husbandry projects. They collected information to guide our book purchases that have been funded by book drives at our churches. They worked out arrangements for the visit to Atlanta by Chavannes Jean-Baptiste, who will speak with our supporters during our spring fund-raising. The meetings continue through Wednesday. They arrived safely at MPP. "Hillside is nice and green." No access to send further information. I close my eyes and hear the children laughing, see them running with grins and joyful chatter. I smell the soil, the flowers, the countryside bursting with vegetation and life. I know what our delegation to the EcoVillages is sensing: love, acceptance, courage and purposeful drive to embrace the day. Perhaps we need to daily examine our cozy, connected lives. Where do you find your purpose? Where is the poverty in your life? Sometimes you can sense the moment when something profound happens. It was so last night. We've been home almost a week. We will gather together again as a group in a couple of days to share our reentry stories and to enjoy the safe harbor we created while traveling. The gift of traveling with these folks was one of the deep and lasting rewards of the trip. We have all arrived safely home. What a rewarding week--filled with challenges, smiles, stories, laughter and sighs too deep for tears. Wednesday morning we met with the MPP leadership once again to clarify and contemplate and learn and consider. It was a good meeting. We have great partners and we all are working together for this project to be successful and the school to be sustainable. After the meeting we loaded all our gear and made the long trip back to the city. The roads offer great challenges and the trip was not "fun", but we were safe and we arrived intact. In Haiti, this is a triumph! Thursday morning we reflected on our many varied gifts, how the range of those gifts worked for the good of our tasks, and how we will move forward. How will we answer the question "How was your trip?" Give us time if you ask that question! And now we are home. It is good to be home. It is good to have hearts filled with the joy of sharing this week with each other and with our dear friends in Haiti. It is good to have minds filled with questions, so many questions. And it is so good to feel the Spirit moving wherever we go. Today the children were happy to wear new uniforms which had been donated from St. Joseph School in Virginia. Several members of our group worked with three of the classes and their teachers to prepare art projects to bring back to share with children in Atlanta. These children proudly wear their school uniforms sewn by village women on donated sewing machines. Our hardworking videographer/photographer David at work editing video for the Flavors of Haiti event on May 7. Y'll come!